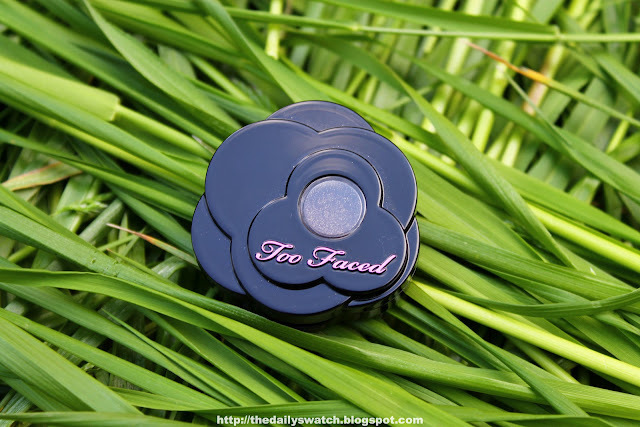 After using my Sweet Dreams Makeup Collection, Too Faced has become one of my favourite brands. 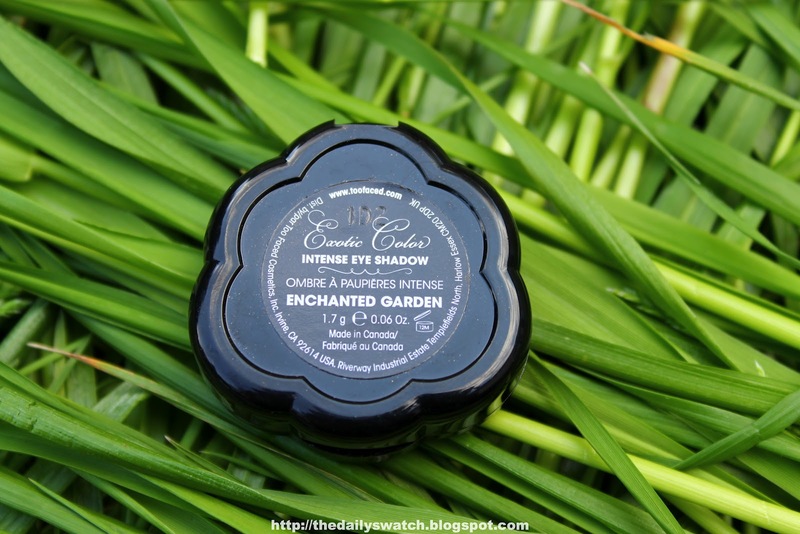 I decided to check out the Exotic Color Intense Eye Shadows by purchasing the one in Enchanted Garden. It's described as being a "golden espresso" colour which quite accurate. 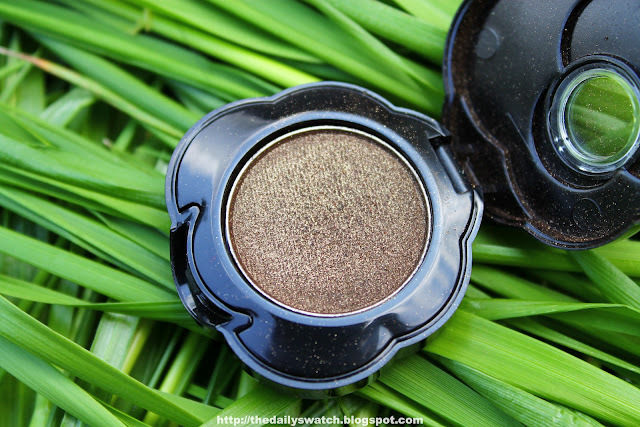 Enchanted Garden has a dark brown base with tons of fine gold sparkle. 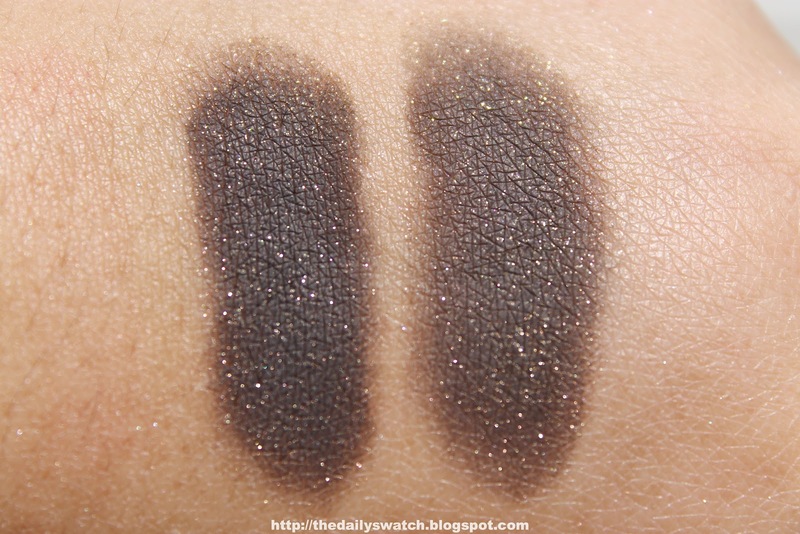 This eyeshadow applies very well with a brush and there is very little fallout (a small amount of the golden sparkle will fall off when applying it). First applied over a primer, and then on its own. The dark brown base adheres well (especially when used over a primer) and wears for a long time. 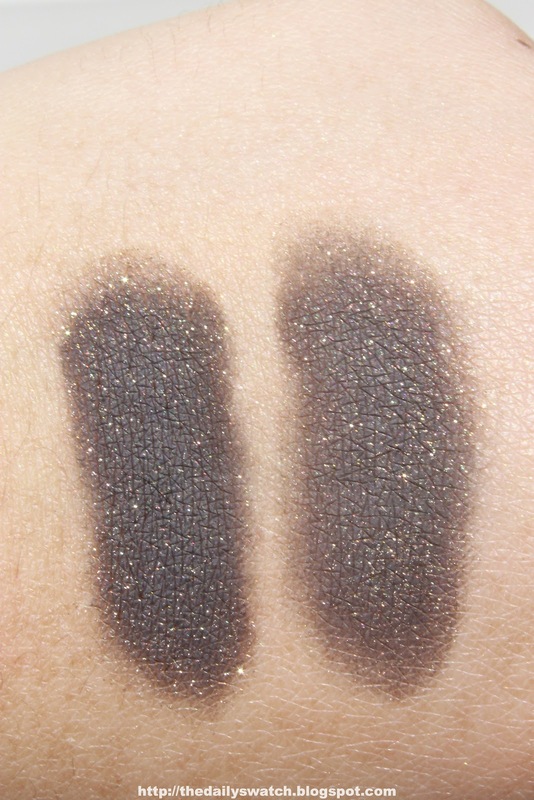 It also looks great when used as an eyeliner. Too Faced eyeshadows are some of the best I've tried, and this is no exception. I love the packaging as it's not only small and compact, but has a nice shape and design. However, $18 is a lot for one eyeshadow. I think I'll stick with palettes and sets from Too Faced because they are great deals (and the quality of the eyeshadows in sets is the same as in singles). If you want a dupe for this eyeshadow, try Golden Amber from NYX. It's a close dupe which is more golden than brown. It's also around $5 depending on where you purchase it from.